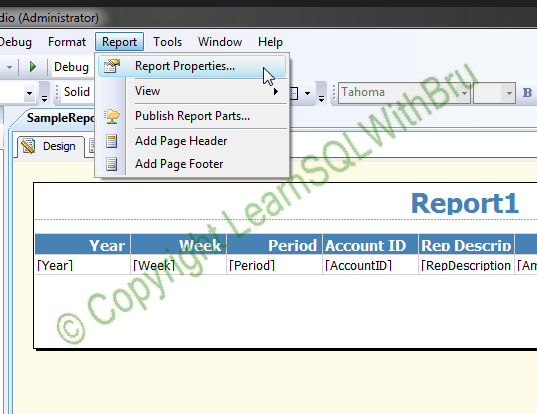 In the blog we shall learn how to change Report Properties in SQL Server Reporting Services. The Report Properties window is displayed where you can choose in which measuring units (Inches Vs Centimeters) would you prefer. 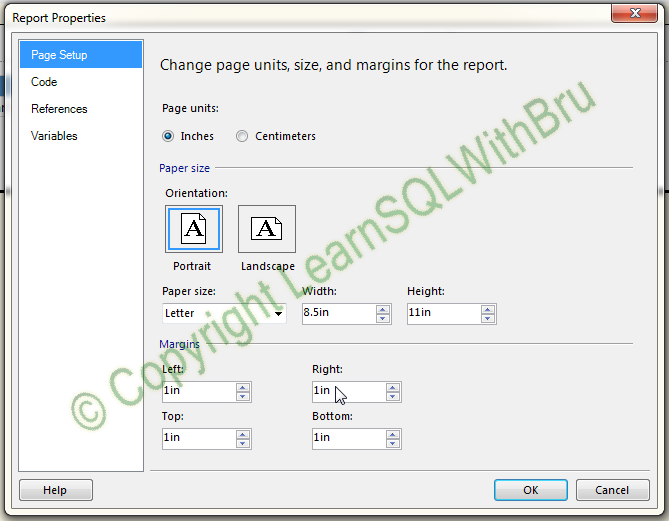 Apart from that you can choose the orientation of the report whether Portrait (default) or Landscape mode. 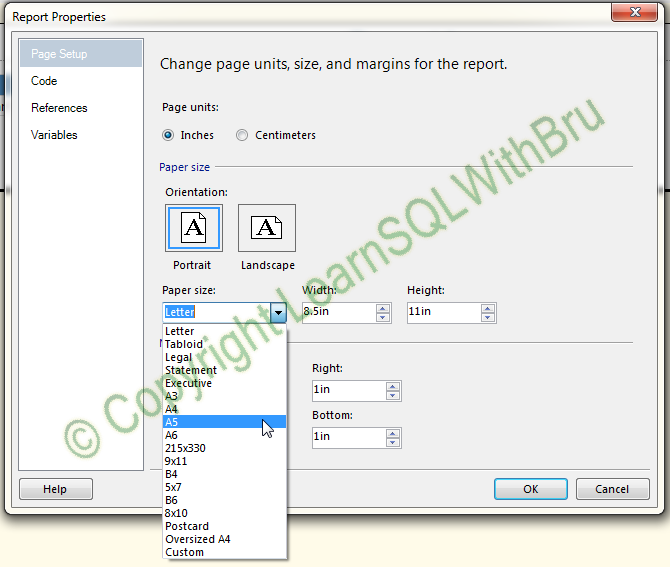 You can also choose a various number of the paper sizes from the drop down list (as shown below). Finally you can choose how much margins you want for the report. 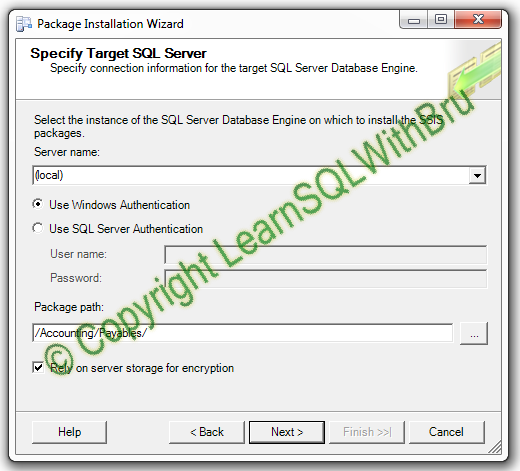 You might be aware that system database msdb in SQL Server contains tables related to backup and restore operations of that Instance. Every time a database backup is performed, details regarding that backup is stored in multiple tables in msdb database. 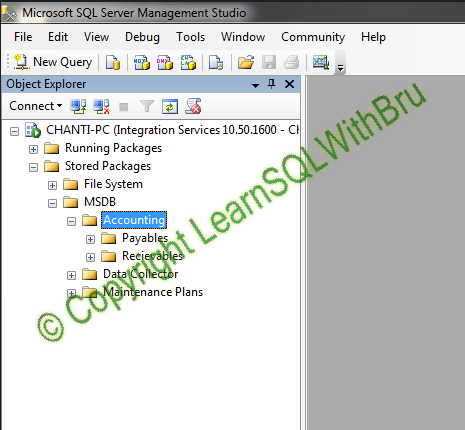 This information is useful when you want to restore a database to a point in time using the SQL Server Management Studio. But after certain period, the old data about the backups is not that useful anymore. It is common to have few dozens of databases on a SQL Server instance and when they are regularly backed up as part of being able to recover to a most recent point in time. Assuming the transaction log backups are scheduled at every 10 or 15 mins for most part of every day, the number of rows generated due to those backups would be slowly but surely adding up rows in those backup tables in msdb. 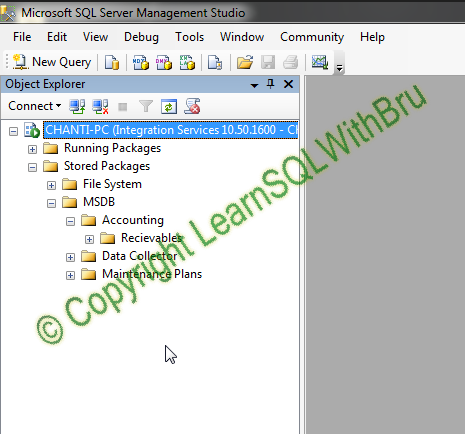 In order to let database admins contain the size of msdb database, SQL Server provides a System Stored procedure called sp_delete_backuphistory to purge backup history from the underlying backup and restore tables in msdb. The stored procedure accepts a date parameter @oldest_date. 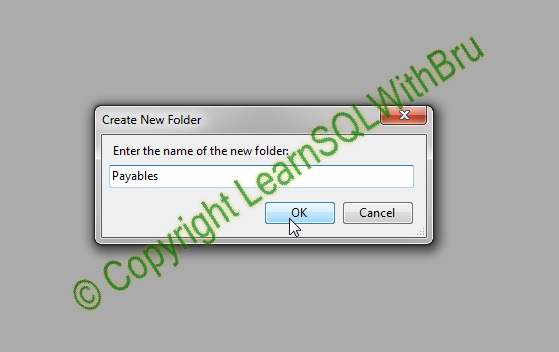 The stored procedure takes the value passed into that parameter and deletes the data in the backup and restore tables up to that date. Let us assume you have never purged the backup information and the msdb database contains the backup information from the beginning of the SQL instance which was setup a couple of years back, the chances are the msdb database would be already huge in size (depends on how many db’s reside on the instance and how frequent the databases are backed up). 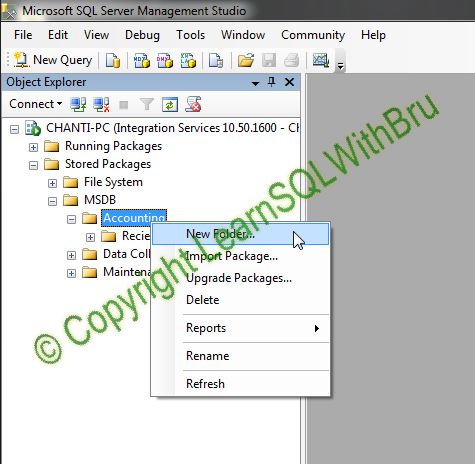 In that situation, in order to delete all the backup history before 1/7/2011, you will have to pass the date value 1/7/2011 to the stored procedure as follows. 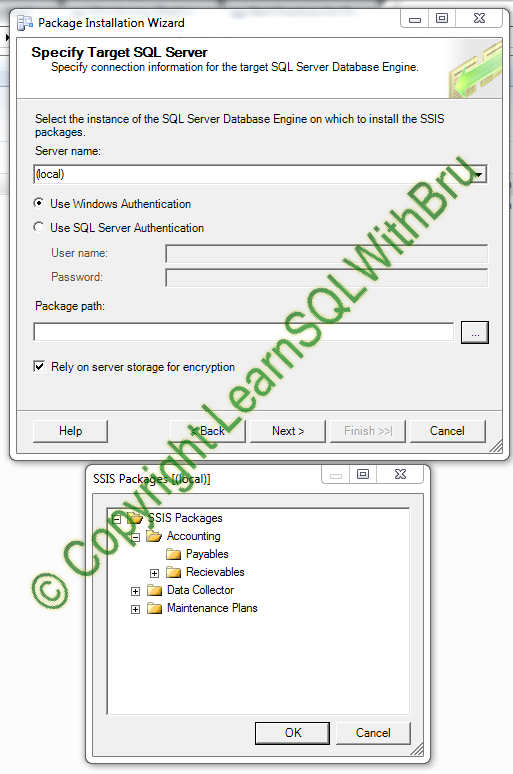 It would be good to purge the backup history on a regular basis such as weekly or daily using a SQL Agent job.